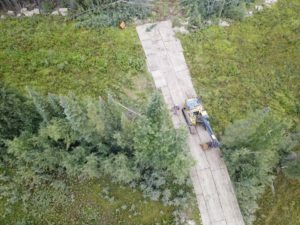 Backwoods Energy Services provides turnkey supply and installation of wooden access (8’ x 14’) and rig mats (20’, 40’, and 60’) ensuring minimal ground disturbance, avoiding the transference of noxious weeds, addressing environmentally sensitive areas, and providing functional work surfaces. We are experienced providing fit for purpose pre-access matting assessments and layouts, mobilization/demobilization, installation and removal, transportation, storage, logistics, cleaning/washing and repair. 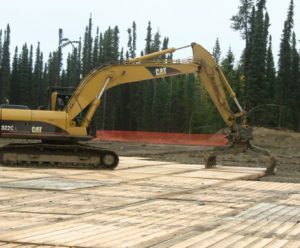 © 2019 Backwoods Energy Services. All Rights Reserved.